Loving this 19" heavyweight in black and green with silver spacers and silver toggle clasp. 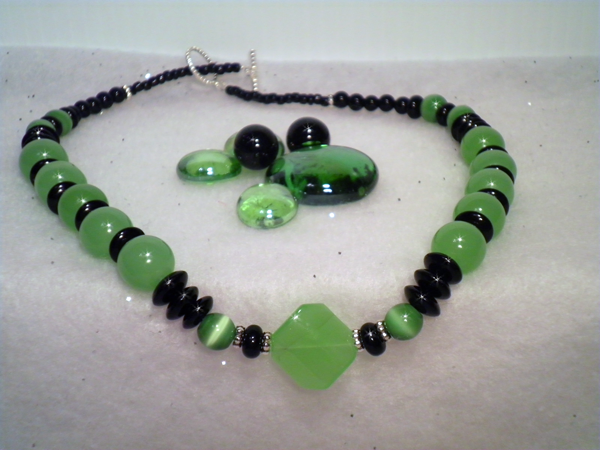 The focal bead is a glass octagonal wave surrounded by varied green glass rounds and black glass discs. It has an uncomplicated design, yet is anything but simple.